The Zeitz Museum of Contemporary Art Africa (Zeitz MOCAA) isn’t just one of those shiny landmarks dedicated to art but a permanent symbol of how important art has become in South Africa and the African continent as a whole. Its mandate is to “collect, preserve, research and exhibit art from Africa and its diaspora” and it’s the first building of its kind in Africa to be devoted solely to contemporary art. Housed in a former grain silo and spanning seven floors, the conversion project was designed by the prestigious Heatherwick Studio and holds the collection of German businessman Jochen Zeitz. Dubbed as Africa’s “Tate Modern”, its first month saw record-breaking audience numbers. If you're serious about art, this should be enough reason to book a flight asap. 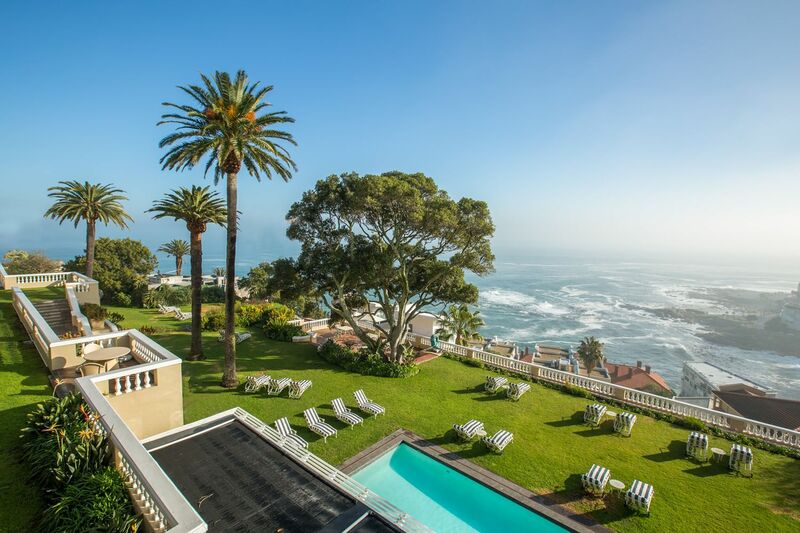 Those who are keen to carefully examine the richness and diversity of South Africa’s art scene will benefit from checking into Ellerman House—a beautiful hotel perched on a cliff in the exclusive enclave of Bantry Bay. Celebrating its 25th anniversary in 2017, this intimate hotel is well-loved for the expansive view, timeless decor, exquisite food and wine, but most of all for its unparalleled collection of art. Forget finding run-off-the-mill art pieces in your room or at the lobby. Instead, take in the 1000-strong collection of valuable artworks carefully incorporated into the hotel’s tasteful interiors and elegant grounds. The collection spans mid-nineteenth century art up to the present; it also has a dedicated gallery for contemporary pieces. From the avant-garde outdoor sculptures to classic works adorning the hallways, the art immersion alone is well worth the price of entry. The city has long been on the map for wine enthusiasts, largely because of the Cape Winelands. With vineyards spanning nearly 100,000 acres, the Western Cape produces some of the world’s most unique bottles—including pinotage, a varietal unique to South Africa—at incredible value. With 52 wine farms and 48 restaurants serving a population of 25,000 in the greater valley, Franschhoek is the place to be. Leading the charge is Leeu Estates, a stunning luxury hotel and winery set on a sprawling property. Hands down, the highlight of staying at Leeu Estates is the direct access to Mullineux & Leeu Family Wines. A joint venture between Leeu Collections owner Analjit Singh and winemaking duo Chris and Andrea Mullineux, wines by the award-winning label have achieved top ratings from the respected Platter’s South African Wine Guide and named its Winery of the Year twice, while Andrea was named Winemaker of the Year in 2016 by US-based magazine Wine Enthusiast. Recently, Cape Town has also gained a reputation as a global gin capital. It’s home to a handful of progressive artisanal gin distilleries that have recently set up shop or been revived, inspired by the laid-back lifestyle but also access to amazing botanicals thriving in the Cape Flora Kingdom—an incredibly diverse area located in the southwestern part of the country, and only one of 6 floral kingdoms in the world. Botanicals culled from here include fynbos (fine bush in Afrikaans), as well as buchu and kapokbos, all of which lend gin a floral note and a distinct, delicate aroma. Lest you get thirsty, note that many of these bottles don't make it past the border—all the more reason to make your way down south. Everwhere you look and go in Cape Town, you're never far away from nature. From the imposing Table Mountain, the panoramic view of the coastline to the otherworldly surrounds of Cape Winelands, there's no shortage of natural beauty to take in. If you're looking for a deeper immersion with wildlife, it's very easy to tack on a safari to your trip. For first-timers, Phinda Private Reserve is a must—you'll find utmost privacy at the luxury lodges they operate and a guaranteed close encounter with the Big Five. The writer's visit to South Africa was curated by luxury travel company andBeyond. Parts of this story appear in T.Dining and Singapore Tatler Homes.